If you have bought an old house or apartment in Lisbon are you sure that you did enough detective work before you purchased an old house or apartment in Lisbon. We are seeing more and more inquiries from people who have put an offer in for or have already bought an old house or apartment in Lisbon and are looking for advice and reassurance that the property they have bought is not a disastrous money pit. We know the problems and pitfalls which come as part of the package when you buy an old house or apartment in Lisbon so it’s often surprising to see just how late in the purchase process people leave it. 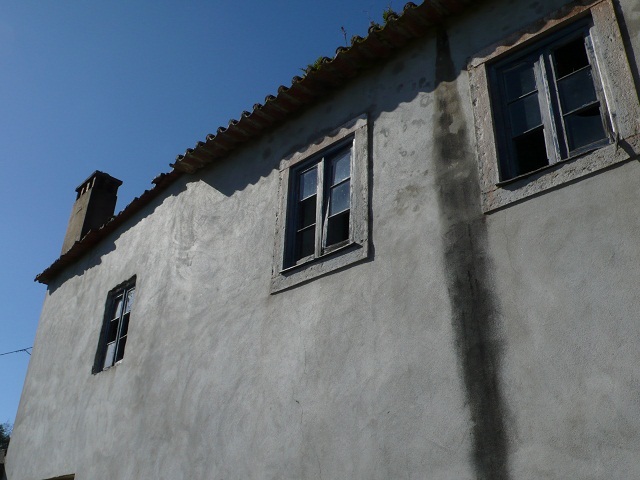 Take for instance a typical old house in Lisbon it will be from around 1900 built of stone and timber with a clay tiled roof – What can go wrong it has been here for generations! These houses are remarkably stable especially when you consider the lack of real foundations. Over the years and through the many mild earth tremors they kind of slump a little into the adjoining ground and just stay up. There are 3 main problems to be found in these houses and it is the same in every case. 1, Fragile, sun dried roof tiles. 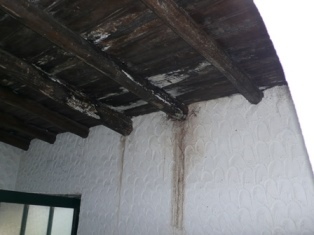 2, Extensive woodworm and wet rot in timbers. 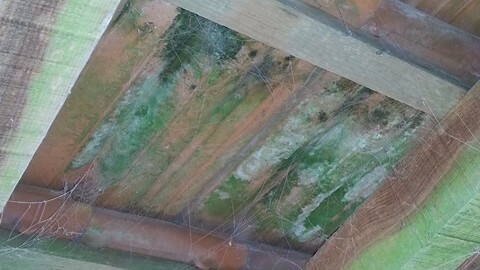 As the tiles break over time and allow water to enter the house walls and roof space it cases dry and wet rot on the timbers. The water quickly penetrates structural timbers effected by wood worm with the result that the roof sags and can often collapse into the house or push out and break the external walls. Both of which are dangerous and very expensive to repair. 3, Even the best homes of this period suffer from damp in the lower walls. Basements are often uninhabitable and at the very least on the ground floor there will be large patches of loose plaster, flaking paint and rotten floors. These 3 things have to be sorted out before you start to remodel or decorate the property. Castelo Construction can help you understand the potential problems and costs before you buy. Our independent reports can enable you to negotiate hard on the price of the property that you want to buy. Our estimates enable you to know exactly where you stand financially and what exactly needs doing to get the property back into good condition before you start to remodel or decorate. Saving you thousands and cutting the time involved in getting your new home into a habitable condition. 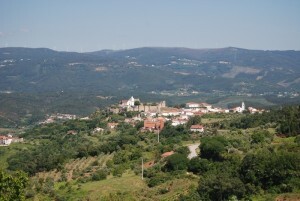 An apartment or house in an old part of Portugal can be a great place to really get the feel of Portugal. If you are interested in buying property in the historical zones here is some food for thought. With property in the historical zones you also get food shops, restaurants, cafes and bars only a few steps away. It is the sort of lifestyle that you can live without driving and when you get tired of walking around and exploring the area like a tourist you can easily catch public transport. Something that not at all east out in the rural areas. You could go for some higgledy piggledy urban pile or go up market and buy a grand apartment or villa much loved by bankers and politicians. If you are buying in a historic zone there may well be some restrictions as to what you can and cant do to the property. They will in no way be as bad as you may be used to or affected by in Northern Europe however they should be looked into and understood before you pay any cash or put pen to paper. Both Porto and Lisbon have fabulous river views and these properties as you would expect are priced at a premium. Here is my personal check list when buying any old property in a historical zone. 1, Check what the restrictions on changes to the facade and structure are. 2, Have the place checked out by a surveyor before you sign anything or pay anything. 3, It is an old property so it will have woodworm and damp – make a reserve in your funds for 20% of the refurbishment cost. 4, The cost of work due to the higgledy piggledy nature of these old buildings and access restrictions will be higher. Add 30% to your estimates for refurbishment costs. 5, Access, you may have shared access or responsibility to the roof and other common areas. (your new neighbors) don’t want to spend money on maintenance especially when the “foreign millionaire” has just moved in! 6, Sort out the thermal insulation before you start looking at tiles, paint and furniture. Being cold to the bone in a place that’s hard to heat will get you down and stop being a pleasure to live in. 7, Sort out the noise insulation. 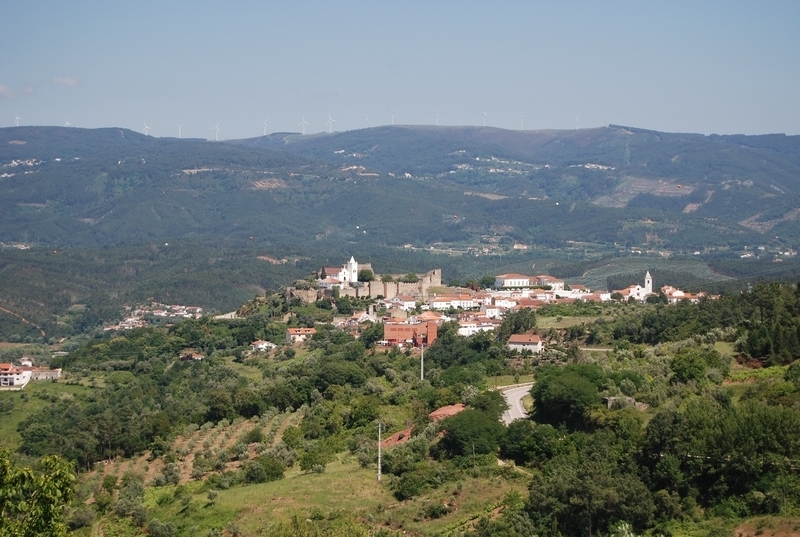 Portuguese people are amazingly friendly, very sociable and love living together as an extended family. This can make for a level of noise that you are not used to. Add to this their habit of having the radio and television on in the same room, barking dogs and screaming children. You may very soon have less hair that you started out with. Keeping rain out of your home is highly topical at the moment. The monsoon like rains we are having are causing problem from flooding homes to even knocking the down. 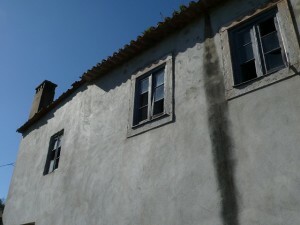 Keeping rain out of old stone homes in Portugal is a must as they can be demolished by the rain! On a slightly less serious note but still terribly inconvenient is water from rain coming into your home from roof terraces, verandas adjoining buildings and broken roof tiles to name but a few causes. Just to put this into perspective. We were recently asked to fix a roof leak on an older home. The problem was a suspected broken roof tile. In fact it was TEN broken roof tiles. The TV engineer and a painter had been walking on the roof tiles without protecting them and as a result the roof was leaking in ten places. They must have heard the tiles crack but ignored the problem and left it for the home owner to find later. The rain water entered the roof and was lying on top of the ceiling in a pool. Once the pool was large enough it started to enter the bedroom through the ceiling light fitting and also into the kitchen via the electric wall socket. Although it only took us 20 minutes to resolve the problem our client could have done with out the stress and cost of redecoration that was required.